David Easlick is currently serving as an Expert Witness in Fraternity Risk Management cases, primarily on behalf of the Plaintiff. 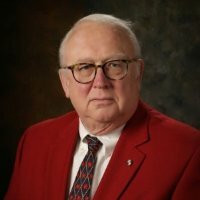 He was the Executive Director of Delta Kappa Epsilon Fraternity for over a quarter century. In that position he gained a world’s worth of experience in combatting hazing and other abuses in the Fraternity World. David Easlick recently released a new article titled "Criminalization of Fraternities" that outlines his beliefs on how Fraternities are being criminalized. David argues that Fraternities have taken the position that the central office cannot police the day to day operations of a chapter. They, despite massive training and risk management codes conducted on their level, cancel any insurance coverage to a local chapter if hazing or substance abuse are present. They all employ chapter consultants who keep track of the activities on particular campuses through visits, alumni contact, student personnel administrator contact, conventions and educational sessions. If interested parties are on a fraternity board, or considering it, or their son is contemplating joining a fraternity, he would suggest they first discuss it with their insurance agent. Click here to read more about the Criminalization of Fraternities and read David Easlick's article on LinkedIn. About David K. Easlick: David K. Easlick currently serves as an Expert Witness. He is considered an “Anti-hazing and Risk Management Specialist, and is an expert witness in trials dealing with hazing and Risk Management engendered lawsuits involving fraternities. He has represented both plaintiffs and a National Fraternity. As the Executive Director of Delta Kappa Epsilon International Fraternity for over twenty-nine years, affiliate member of the North American InterFraternity Conference, associate member of the Association of Fraternity/Sorority Advisors, business member, nonprofit member NASPA, and past member of FIPG and FRMT, he is an extremely qualified and understands both industry standards and best practices in Fraternal lawsuits. As a lawyer and former litigator, David offers unique advice to counsel seeking it, however he does not try cases or seek out litigation clients.